The tracks for Margaret and Jacquelyn are oddly similar. It isn’t strange that they are both heading southeast. That is relatively typical leatherback behaviour. 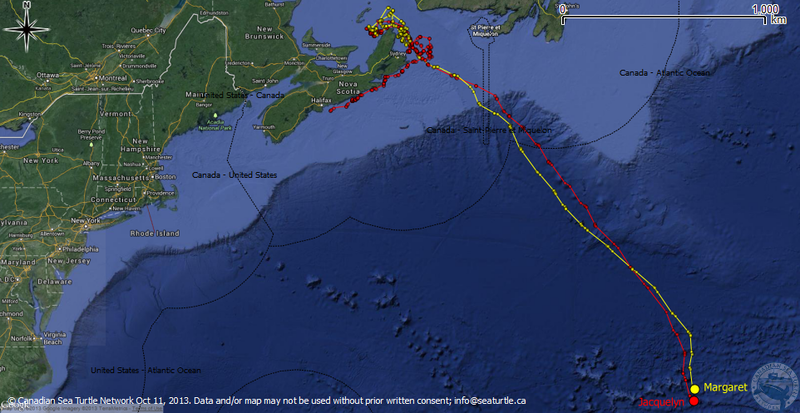 But what we find interesting is that these two animals—randomly satellite tagged at different places and times this summer—just happen to be moving almost parallel to one another (although about 100 kilometres apart). 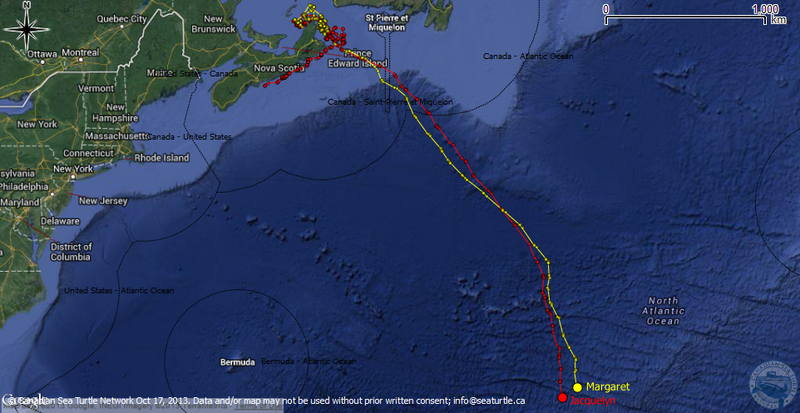 If you look at these maps, which show the ten turtles we satellite tagged in 2012 for the Great Canadian Turtle Race, you’ll see what a variety of routes leatherbacks often take. I wonder how long our girls will stay near each other? We are back after our sea turtle field season with two new leatherback tracks for you to follow. Meet Jacquelyn and Margaret! We tagged Jacquelyn in July and Margaret at the end of August. We can’t wait to see where they go!